The energy we use to operate appliances and other equipment is a major cost and a large source of greenhouse gas emissions. In many cases, we’re unaware of the amount of energy our appliances use, how much it costs us or how much greenhouse gas emissions they produce. Many products offer improved energy efficiency, at minimal cost. it has mandatory minimum energy performance standards covering energy efficiency for equipment and appliances sold in Australia. Issues rating labels we can use to buy the most energy-efficient product. This uses the familiar star-based rating system—the more stars on the label, the more efficient the appliance. The E3 Program is a joint initiative of the Australian Government, state and territory governments and the New Zealand Government. When buying an appliance, the price on the sticker tells only half the story. 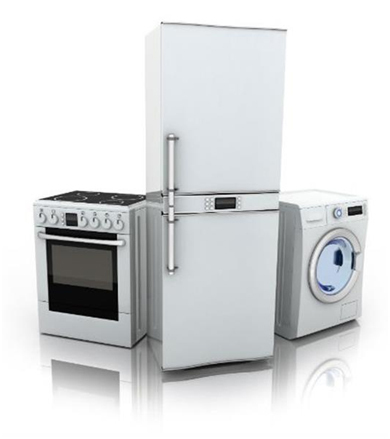 Knowing how much an appliance will cost you is often not taken into account when buying. Use the free Energy Rating App to calculate what energy rating labels mean to you in dollars. Add the estimated running cost to the purchase price, to calculate the total you will pay over time (full life-cycle cost) for major household appliances, including air conditioners, fridges, dishwashers, dryers, washing machines, computer monitors and televisions. You can download the Energy Rating App anytime or anywhere, on an iPhone®, iPad®, iPod touch®, Android™ and Windows Phone. To reduce the greenhouse emissions produced by hot water heaters, the ACT Government has restricted the type that can be installed in detached houses and townhouses that have not been occupied or sold as a residence. From 31 January 2010, domestic water heaters in houses and townhouses must comply with minimum greenhouse intensity and/or energy efficiency standards. Only certain solar, heat pump and gas storage and gas instantaneous water heaters can be installed in a hot water system. Electric resistance water heaters are not allowed but an electric-boosted heat pump or solar water heater can be installed if it meets the minimum standard. In the ACT, newly built or substantially altered dwellings must meet energy efficiency standards. Most people choose to comply with these standards by getting an energy star rating. To do so, you must demonstrate that the dwelling has a minimum of six stars as assessed by a licensed building assessor using approved rating software. The Civil Law (Sale of Residential Property) Act 2003 requires all homes being sold in the ACT to carry an energy rating. This enables owners and buyers to compare a home’s passive energy performance characteristics with others for sale in the Territory. When advertising to rent a dwelling, owners or investors must disclose the existing energy rating. The ACT Government is also considering providing more information to prospective and current tenants in the Territory. A national energy performance disclosure scheme for commercial buildings was introduced in 2011, under policies supported by the Council of Australian Governments. Options are being developed by the ACT Government to provide prospective and current tenants with information they need to determine the energy efficiency of homes, fixed appliances and major energy uses (Action 3 of the Government's Climate Change Strategy, AP2). any program should seek to minimise potential increases in costs for low-income tenants. A pilot was conducted by the Centre for Liveability Real Estate on behalf of the ACT Government in 2015-16 to trial innovative ways to provide energy efficiency information to prospective and current tenants. The final report, “Energy Efficiency Information for Tenants Pilot” was delivered in 2016 and is available here. The ACT was one of the first jurisdictions to implement the National Energy Customer Framework reforms. As a result, all household electricity bills must have average electricity usage information for households of a similar size in the same area. This means households can compare usage against the average of others (bill benchmarking). The Energy Made Easy website allows you to compare offers from electricity and gas retailers in your area to determine if you’re on the best offer. It’s operated by the Australian Energy Regulator. The Energy Efficiency Exchange (EEX) supports the development and implementation of energy management and energy efficiency strategies. It provides quality information from respected national and international sources in one location for medium to large Australian energy-using companies (using more than 0.1 petajoules of energy per year). Content is developed and reviewed by industry experts and includes an audit of high-quality resources from Australian and international sources. The Energy Efficiency Exchange is a joint initiative of the Australian Government and state and territory governments. It’s administered by the Department of the Environment and Energy.